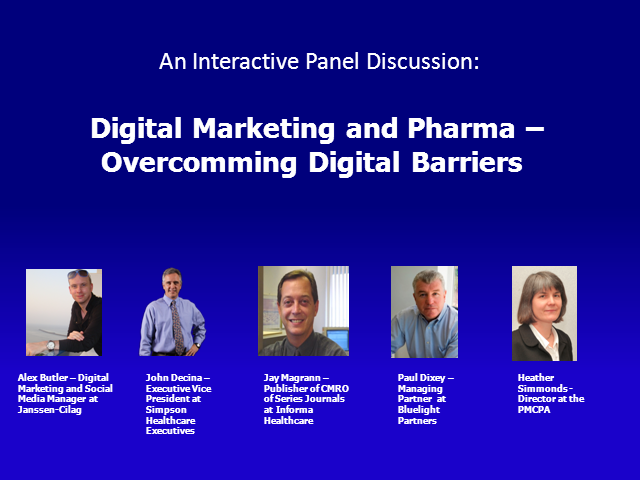 John Decina, Executive Vice President at Simpson Healthcare Executives will moderate this debate where the panellists discuss the key challenges facing pharma when developing and running digital campaigns. Obstacles such as the APBI code are often put forward as reasons for why this industry has been slower to engage with their audiences online. What are the perceived barriers and are they valid? Take this opportunity to listen to the views of our expert panel and have your questions answered.